Hopefully my C&C Campaign will be able to start up late August, in the meantime I'm getting caught up on some OSR Fantasy Coolness that I hadn't picked up yet. One I've had my eye on for a bit is Pars Fortuna. 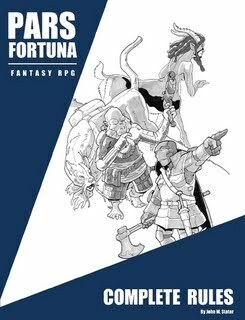 I just recently received my copy of Pars Fortuna and I must say it is a really cool Fantasy RPG, wherein the author worked up races and monsters (including there names) based on random rolls on some on-line generators. How cool is that? The artwork is top notch, reminds me of Jeff Dee (from Classic AD&D days) and that is a good thing, I've always been a fan of Jeff's work, particularly on the Deities & Demigods tome. Anyways, you can pick up the Basic Pars Fortuna rules for free. I was quite intrigued by what was presented in the basic rules so I ordered the print version of the Complete Rules. After reading them I have to say I'm quite pleased I did. Some of the races and alot of the Monsters in it are going straight into my upcoming C&C Campaign, my players won't know what hit 'em! Found this freebie rpg download thanks to a post over on The Mutant Epoch Forums. My Gamer ADD has caused me to drift back into the Realms of Fantasy. Looks like my plans for a Castles & Crusades Campaign will happen! I've got five players interested, including my lovely wife. More on that as things develop. Soo in preparation, I'm getting caught up on some OSR goodies that I had failed to pick up. 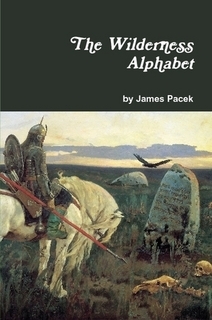 One item I kept meaning to get was The Wilderness Alphabet by Jim Pacek. 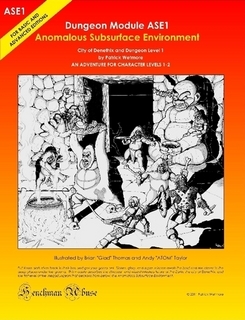 I recently ordered this, and am happy to have it as part of my OSR Gaming Library. Jim has done a great job on this, I will definately be using it for my games. I particularly liked his little notes on how he used something from his tables in his own campaign. Also while the art is public domain for the most part, I can tell he put in alot of man hours to find just the right picture to capture what he was looking for. Nicely done! So if your looking for a little something to help you fill in some of the gaps in your Campaign's Wilderness, I think The Wilderness Alphabet may be just what your looking for! Went to my mailbox expecting bills, and was instead treated to this! course there were some bills, but I'll worry about those later! Got some reading to do!! Hope everyone is having a great Simian Saturday, stay cool! The Heat Index should reach 110+ degrees around here today! Yikes! Speaking of "Hot"! 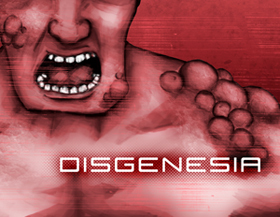 I've gotta give a shout out to the A Field Guide to Doomsday blog, Justin is a mutant beastie creating Mad Man! And I mean that in a good way! If you need some mutant monsters for your Mutant Future games, check out his blog, he's got some great ones! And his latest post is just in time for Simian Saturday! 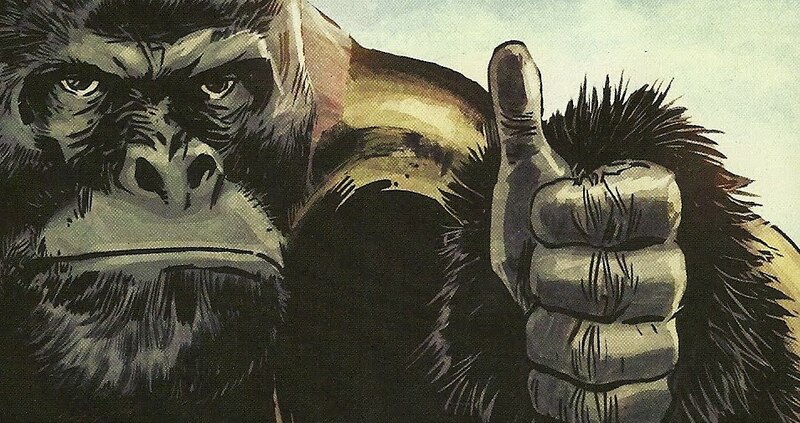 The Apephibian! 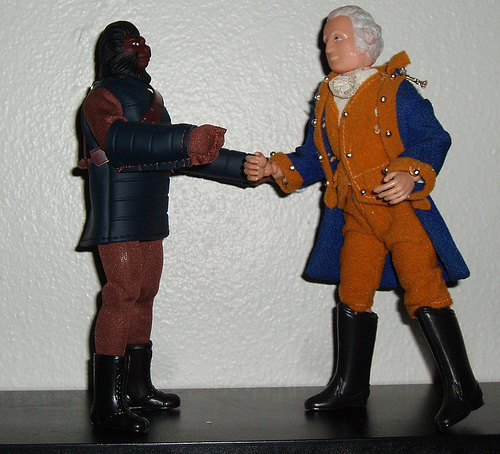 In other Ape news I recently posted about some potential POTA minis I'd found. Well my order finally came in, I'm sad to say I'm disappointed in the quality of the minis. Scale is a bit too large for my 28mm collection, even factoring in that they are apes, and the sculpts just have a chunky, lacking finesse quality about them. I don't see myself ordering more. Oh well the search continues! Have a Great Weekend! Stay Cool and I hope you get some gaming in! Our Pathfinder game kinda got put on hiatus due to some "other" issues, which led to some of the players quitting the group. Heck I didn't even have anything to do with the drama (this time). I'm possibly going to be able to start up a Castles & Crusades Campaign hopefully sometime in August. I'm getting excited about that. The Missus is even wanting to play! Along with some old friends of ours. If we can get schedules to match up it will happen. I had fun running C&C a few years back, so I'm anxious to give it another spin. 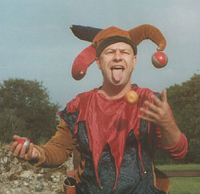 Heck I even hear the Castle Keeper Guide has finally come out! Woo Hoo! In other news I got a couple of new acquisitions from Lulu. I picked up the Anomalous Subsurface Environment adventure and mini-campaign setting for Labyrinth Lord. It's a great module, reminds me a bit of Thundarr the Barbarian. I highly recommend it! 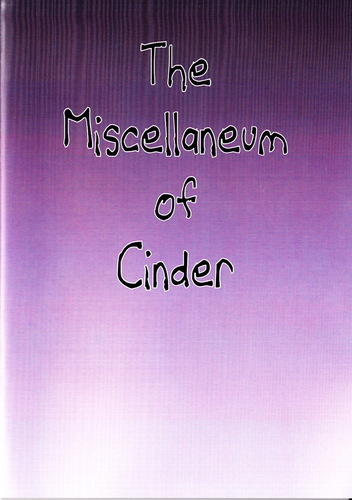 I also finally picked up a print version of Jeff's awesome Miscellaneum of Cinder. Great little book, definately happy to have it as part of my gaming library. Guess I'd better run, I'm sure one of my teenagers has to be taken to some event or another! 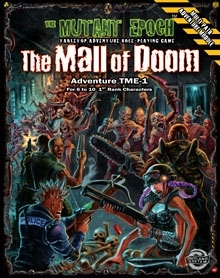 The Mall of Doom adventure for The Mutant Epoch RPG is now available! Off to go order my copy! 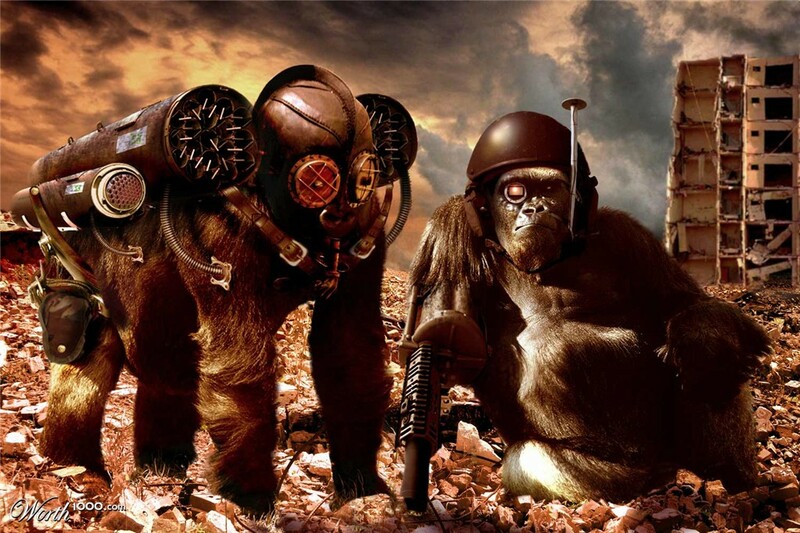 Simian Saturday; Won't you be my Simian? I thought I'd shake things up a bit and show D.C. Comics some "love" and work up a non-Marvel Alien race for your enjoyment. Naltorians are an alien race that in all likelihood has a common ancestry with humans, they look very much like humans (Naltorians would say humans look like them, just to a "lesser degree"), except Naltorians tend to be more physically attractive than the average human and have white to platinum blonde hair and pale Caucasian features. Human Scientists claim the heightened attractiveness of Naltorians is due to their advances in Bio-Science and "tampering" with their genome to achieve this "higher" beauty. Naltorians deny this and find it to be insulting, some saying the humans are just jealous of their species' overall attractiveness. Almost all Naltorians are Psychic Precogs, with only a very small minority having no psychic ability at all. 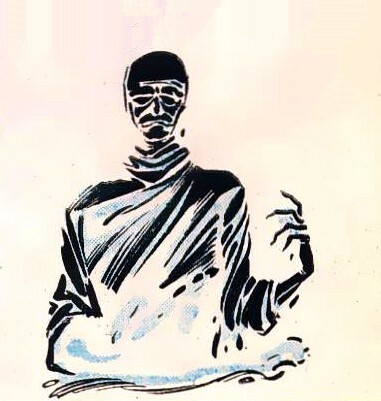 Those Naltorians without any psychic precog ability are called "future blind" and face a great deal of discrimination in their society and are often outcasts. Many of these "future blinds" leave their people and homeworld behind and seek acceptance elsewhere. Their society is virtually crime and violence free, and they are for the most part pacifists. However, this does not make them easy marks for the other hostile races in their region of space. Raiders and Pirates have attempted to attack Naltor only to find well-equipped mercenary forces in place and ready to repel them. The Deonists in particular have funded several slaver expeditions to gather up Naltorians for their psychic talents, even making at least one attempt to kidnap the High Seer herself! They were not successful. Going up against a planet of precogs makes it hard to catch them by surprise. Of particular note, is the Naltorians innate ability to get glimpses of the future, sometimes as much as a year away, in their sleep. This ability is what has earned them the nickname; The Dreamers. Higher level Naltorian psychics have clearer dream visions and are more skilled at interpreting what they see, but it is not an exact science and many errors and misinterpretations can and do occur. Attributes are as normal, except Naltorian PC's must have a minimum 14 Charisma score. Psychic Precogs – 96% of Naltorians are Psychic Precogs, with a rare few having some other Psychic Discipline or the ultimate horror for Naltorian parents, NO Psychic ability at all. DreamVisions – Naltorians have the racial ability of experiencing precognitive dreams, they have no control over these visions, and most don't have a clear understanding of what they saw, however, higher level Psychics (7th level or higher) can use this like the Foretelling ability except it can be up to a year in advance. A Dream vision costs no psi points. 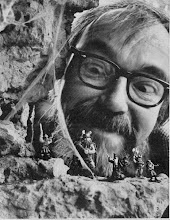 This can be an excellent tool for the GM to plant plot details and campaign hooks into the game; it is not a "know everything" ability for the player to abuse and avoid trouble. Adapted with some modification to fit the Stars Without Number Campaign Setting from the D.C. Comics race and in particular the character Dream Girl, member of the Legion of Super-Heroes. No copyright infringement is intended. 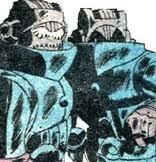 The Tribunals are believed to be powerful alien beings composed of sentient energy. They can take on the outer shape and physical form of those they interact with, i.e. when they appear to humans, they take on a human-like appearance, although it will be mystical and somewhat nebulous seeming in form, for other species they have been reported to do the same. 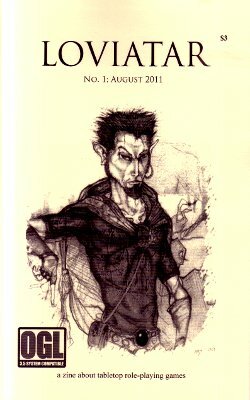 Many races believe the Tribunals to be nothing more than a wild space myth, a fanciful tale concocted by bored space travellers and scoff at talk of powerful psychic energy beings that occasionally meddle in the affairs of "lesser mortals". The Deonists apparently aren't willing to miss out on the chance to "worship" such a powerful psychic creature and have put an enormous bounty on the capture and delivery of a live Tribunal specimen to their world. 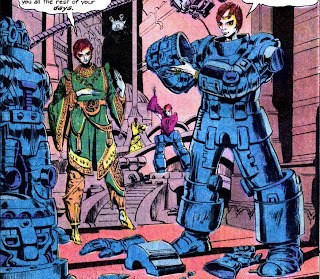 There are others that seek out the Tribunals as well, for it is said they possess psionic talents and abilities that have long been lost and forgotten by the rest of the galaxy. It is said that those rare few whom the Tribunals deem worthy are gifted with a brief taste of this forgotten knowledge and power, although there is always a cost. Some come away with powerful new abilities, others come away powerful but maddened by the experience, while others are never seen again. SWN Default Campaign Setting Notes: If the Tribunals existed prior to The Scream there are no reports of it, but so much data is lost from the previous era, nothing is conclusive in that regard. Some races claim the Tribunals somehow caused The Scream, but there is no proof of this. 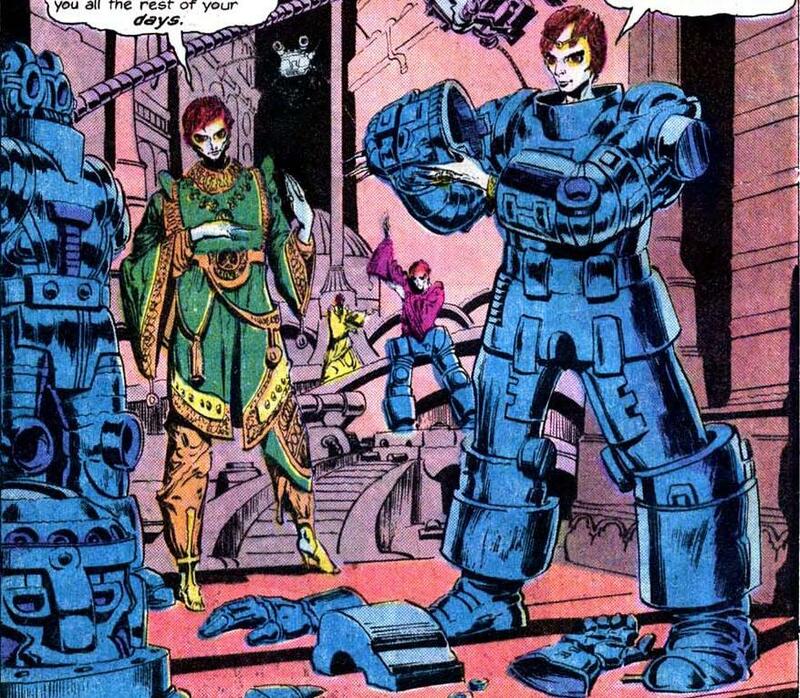 The Tribunals are obviously not appropriate for player characters. They can be used in various ways in your Campaign, some examples are; as a GM Plot Device, perhaps they could be meddling do gooders or villains or somewhere in between….Maybe a PC Psychic is on a quest to learn some new Psionic ability that can only be obtained from The Tribunals. I very loosely based these on the alien race featured in Defenders #124, no copyright infringement is intended. Look what I just downloaded!! Brand spankin' new Mutant Future Mutant Beastie book by my good buddy Outlander! 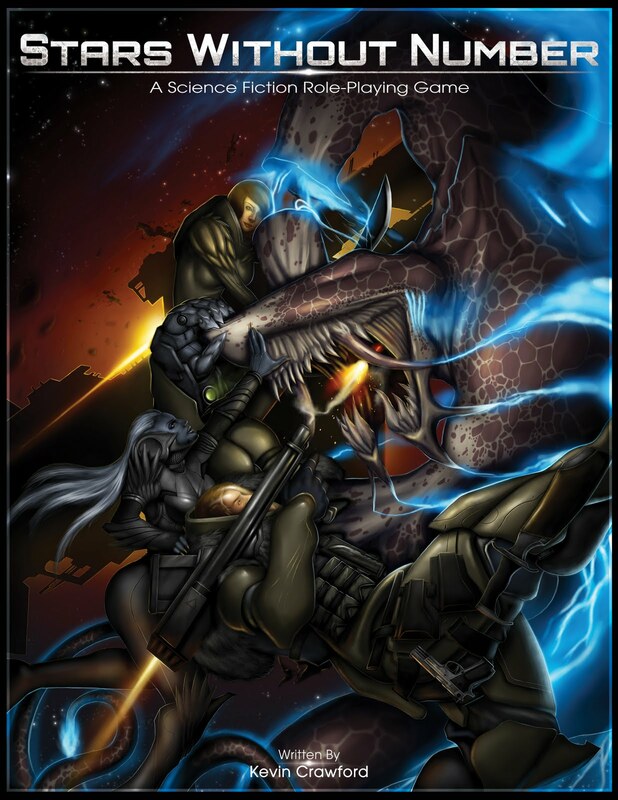 Courtesy of Skirmisher Publishing. 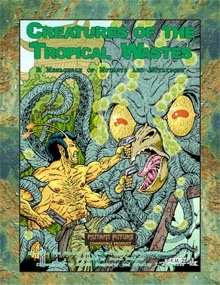 Creatures of the Tropical Wastes! I haven't had time to digest it er.. 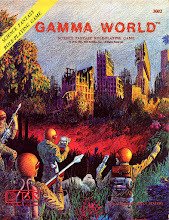 I mean read it fully but its got a bunch of new critters for Mutant Future, including several new mutations. Spielmeister I'm thinking this will be perfect for your SouthEast Asian Mutant Future Campaign! Well I gotta go got some reading to do! A-Chiltarians hail from the planet A-Chiltar. 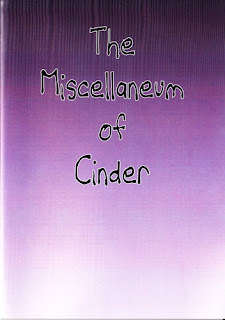 They are a short (5'5") humanoid species, with four fingers and three toes and are covered in purple-grey fur. Of particular note are their large multi-faceted eyes, permitting them to see in many directions at once. The planet A-Chiltar has a methane based atmosphere, and the A-Chiltarians being methane breathers require special breathing apparatus (such as those pictured above) in order to breathe in oxygen based atmospheres. A-Chiltarians are a tribal species; it is this tribalism that has kept them from reaching a higher tech-level, and becoming a true threat to the systems surrounding them. Over the centuries, especially since the time of The Scream they have made numerous attempts to dominate and stage invasions of systems near their homeworld, some of these plans have been quite involved and elaborate, but to date none of these efforts have proven to be successful. But the A-Chiltarians keep trying undeterred by their previous failures. Roll 3d6 for attributes as per the normal rules. Multi-Faceted Eyes- The eyes of A-Chiltarians are much like those of an insect making them difficult to surprise and grants them a +1 on their initiative rolls, as long as their vision can come into play, i.e. in complete darkness they would have no such advantage. Furred – The planet A-Chiltar is a cool temperate world, their light fur provides them with a +1 bonus on saves to resist the effects of cold. Methane Breathers- A-Chiltarians are Methane breathers and require special breathing apparatus to survive on Earth-like atmosphere worlds. 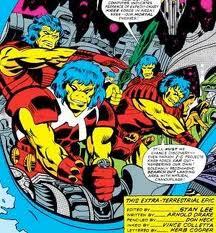 A-Chiltarians are based on the alien race from Marvel Comics; Tales to Astonish #46, no copyright infringement is intended. Deonists are a humanoid alien race, of pale white skin, dark reddish hair, yellow eyes and of a spindly and gaunt form. In ages past the Deonists' homeworld; Deo was known as "Templeworld" and was the religious center of a confederation of planets. "Templeworld" was not only the center of the confederation but it was the location of their greatest treasures. According to Deonists Doctrine their greatest treasure was "The One Above All" an extremely powerful being of vast psychic power. They apparently worshipped him as their god and in exchange he supplied them with the psychic energy needed to maintain their planets delicate biosphere and their powerplants. The Scream changed all of that, The Deonists' relied heavily on Psi-Tech to not only maintain their planet's biosphere and technology but to travel to the stars. The confederation collapsed, most Deonists went mad, or were killed in the Scream's aftermath, a few managed to survive on their homeworld, using their powerful technology to hold back the darkness. It is at some point during this time that "The One Above All" sacrificed itself to shield the remaining Deonists from the chaos engulfing the galaxy. The Deonists survived off of this beings energy for quite some time, but eventually the entity's energies were depleted. They now seek to find powerful psychics to fuel their dying (75% of the planet is desert wasteland) planet's energy. No psychic found today has come even remotely close to matching "The Once Above All's" power, so they require a steady stream of victims, just to survive. It is for this reason that the world of Deo is now known as "The Doomsday Star". Deonists use their remaining hi-tech to recruit raiders and others to kidnap and bring to their world powerful psychics, dubbed "gods" by the Deonists, that are then used (against their will) as fuel for their dying society. In the centuries since The Scream, the Deonists could have worked to change their technology to run on different energies, but that would be contrary to their beliefs and society. While still advanced by other races standards, the Deonists have made no new technological strides since ages before The Scream. It is believed that there are now only 200 or so Deonists left on their homeworld, they have dubbed themselves the Soul-Survivors, with a select few scouring the stars for new "gods" to feed their essence to maintain their world's dwindling energies. Deonists roll 2d6+3 for Strength and Constitution, 2d6+6 for Intelligence and Wisdom, Charisma and Dexterity are rolled normally. Detached: Deonists XP requirements to increase in level are 10% greater than normal. At GM discretion may start with some TL: 5 weapons and gear. Adapted from Marvel Comics, no copyright infringement is intended. First Appearance: Thor #261. I know some folks don't care for their space aliens to be basically just humans with weird skin colors, or humans in rubber suits. I guess I'm different in that I'm cool with that. I'm sure growing up on Star Trek TOS had something to do with that and for me the Star Wars Cantina scene was enough to give me a Nerdgasm! Anyways, many of you know that I'm a big fan of the Stars Without Number RPG, one thing I'd like to see done for the setting/rules is more aliens. As time permits I'll try to post some on my blog for your amusement and use. I've done a couple already the Centaurians and the Woogatu. If you use any of these please let me know, would love to hear how they do in play. Government: Oligarchic: Ruled by a council of elders made up of retired generals. The Aakon are a humanoid alien race. They are large (average 6') heavily muscled and stout (coming from a world with higher gravity than Earth). They have lemon yellow skin, dark hair (varies from dark blue, black and a few with a dark green tint), slits for a nose, and white pupil-less eyes. 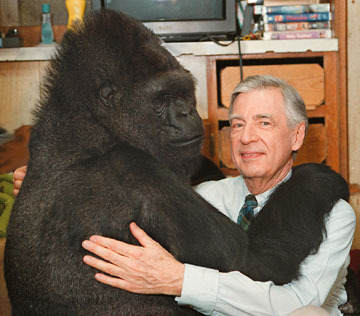 In most other respects they are quite similar to humans, although the two species are not able to interbreed with one another. Also of note is the low birth rate amongst the Aakon species, this and their militaristic tendencies have kept their population relatively low especially when compared to other similarly technologically advanced species. Originally hailing from the planet Oorga, the Aakon arrogantly considered themselves to be the dominant life form in the galaxy. They carved out a "Dominion" in the systems surrounding their homeworld. Then they encountered the Terrans. The human's mastery of psychic abilities and Psitech was completely beyond the capabilities of the Aakon who possessed no psychic talent, and were thus no match for the humans. While the Aakon's considered themselves to be "at War" with the Terran Mandate, in truth they were nothing more than a nuisance to this much larger more advanced civilization. The Terran Mandate casually swatted the Aakon aside like an annoying gnat. 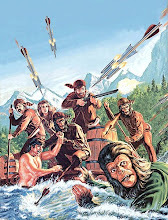 The Aakon's war with the humans served only to reduce their own population's numbers. Human colonists spread across the Aakon Dominion, and the Aakon were driven back to their home system, that the Terrans either didn't want or couldn't be bothered with. Then came The Scream, the Terran Mandate was brought to its knees. The Aakon however, were not so heavily impacted by this event, having no psychics amongst their species, and relying on their up and coming Spike Drive technology (much of it stolen and reverse engineered from captured human colony ships). They were left mostly unscathed by this otherwise disastrous event. The Aakon slowly began to make their move to dominate the Galaxy! Battling other aliens, the frontier world humans, pirates, as well as, each other, the Aakon have used the time since The Scream to advance their technology, increase their drastically diminished numbers and slowly spread their area of influence, it took them some time to realize the Scream had even occurred, at least on the massive scale that it had. Many of their scientists and leaders still don't accept the fact that it affected the entire Terran Mandate, but they are now on the move, They have slowly retaken many of their worlds previously lost to the humans (retaken meaning in most cases having only a small fortified outpost on said planet) and being a prideful race are still resentful of the way the Terran Mandate "humiliated" them in the distant past, they see all humans today as the same and their pride demands these humans make amends for the past. Aakon scouts scour worlds and systems looking for lost tech that they hope to reverse engineer, signs of the Terran Mandate, and suitable worlds to dominate, they have learned caution and stealth have their place in warfare, and are even believed to have ties with the Shadow Consortium. Aakon must have a score of 14 in either their strength or constitution attrubute. Aakon have no known Psychic ability, PC Aakon cannot choose the Psychic class. Adapted from Marvel Comics, I tweaked them slightly to fit in with the Stars Without Number Campaign Setting. 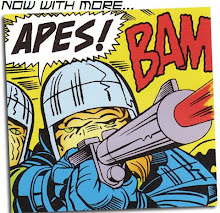 The Aakon first appeared in Captain Marvel Vol. 1 #8. No copyright infringement is intended. Stars Without Number: New Edition Coming in September! Here is the new cover of the new edition of Stars Without Number RPG that will be released by Mongoose Publishing this September. According to the author this version will have 40 pages of new content, rules for Robot PC's will be in this edition! The lack of robots was one element that I felt was missing from the current edition of the rules, so their inclusion is a welcome addition to an already great game! The current version is still FREE in pdf! And apparently will remain free after this new version is published. If your into Sci Fi, and a fan of the Basic D&D mechanic with a healthy dose of Traveller thrown in, I highly recommend you check it out! Happy 4th of July! ; Simian Saturday Style! Hope everyone has a Great 4th of July weekend!